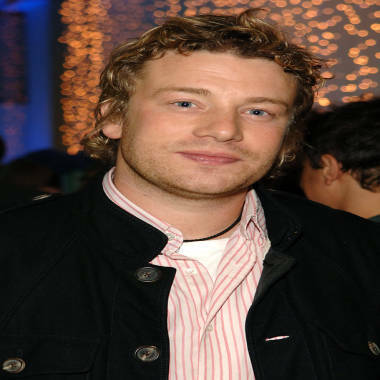 British researchers tested recipes from 26 celebrity chefs, such as Jamie Oliver, finding that 87 percent of the 904 recipes fell substantially short of healthy eating recommendations. The dabs of butter and splashes of cream in recipes of celebrity chefs may be impressive on the plate, but not necessarily so good for your health. Research published in the Food and Public Health journal by University of Coventry scientists said on Wednesday that recipes of celebrity chefs were "exacerbating" health problems such as obesity in Britain by encouraging people to eat fatty dishes. Television shows and top-selling books by chefs such as Nigella Lawson, Jamie Oliver and Delia Smith as well as TV cooking competitions MasterChef and the Great British Bake Off have legions of eager fans testing out recipes. But researchers at Coventry's health professions department found that 87 percent of the 904 recipes from the 26 cooks they tested fell substantially short of the British government's healthy eating recommendations. "If people regularly use the recipes found in these cookbooks, it could be that celebrity chefs are exacerbating public health nutrition issues in the UK," study author and Coventry senior lecturer Ricardo Costa said. The study comes just months after a survey, published in the British Medical Journal, found that recipes by TV chefs, including Oliver and Lawson, were less healthy than ready meals. The researchers refused to say which chefs' recipes they tested, but said they had sampled randomly from best-selling books and websites in such a way as to ensure a balanced representation of different types of meals. "This study is not about naming and shaming celebrity chefs. However, given the level of trust the public tends to place in the nutritional integrity of these cooks' recipes it's important to highlight where they're falling short of healthy eating benchmarks," Costa said. After an analysis of each of the recipes, the academics discovered that only 13 percent used ingredients that presented an overall nutritional composition that would be considered healthy in accordance with benchmarks set by Britain's Food Standards Agency. The results also indicated that all celebrity chefs whose ingredients were analysed promoted recipes that contained undesirable levels of certain nutrients - particularly saturated fatty acids, sugars and salt - which are linked to obesity and risk factors associated with diabetes and heart disease. Celebrity chef Annabel Karmel, whose cookbooks for children and families are found in kitchens throughout Britain, told Sky News that some recipes in celebrity books were bound to be indulgent, but people were smart enough to make healthy choices. "If you want to eat a chocolate cake, yes it will be way above food standards and guidelines and that's OK because you have the choice of eating fruit or chocolate cake," Karmel said. "I think people are intelligent enough to choose their own recipes."